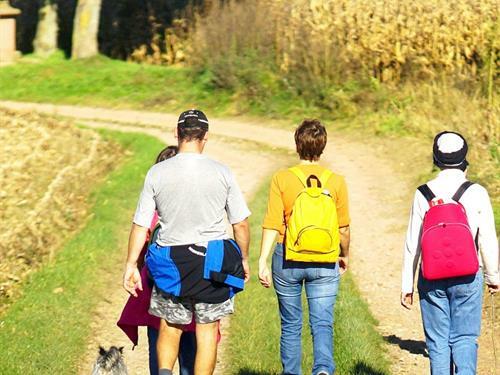 Feel like having a fun, sportive and summery activity with family ? Welcome at Total Jump, the most exciting aquatic playground center in Alsace. Water Jump activity : Let’s go on a sliding rope with a tubby or on a toboggan, then pass on a springboard to jump in the air, before getting back into the water few seconds after. Autoriszed access for person over 1m40 without any joint problem. 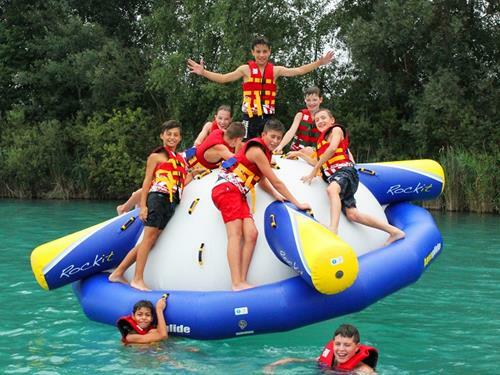 AquaPark activity : A hugh and fun inflatable Aqua park to jump, climb, run, dive, slide etc. THE concept to have fun on a secure water structure. Make a run, challenge each other, or just chill’out all together, that’s the idea ! Your creativity will be your only limitation. Autorized access for person over 8 years old, who’s abble to swim alone. All activities are under the supervision of a lifeguard. After having fun with friends or family on the park, you can take a break on our shaded terrass with a fresh drink and some snacks. Playtime, exciting and sportiv activities… That’s our programm for you. Then… See you soon ? Have you ever dreamt about a stroll on a jetski? 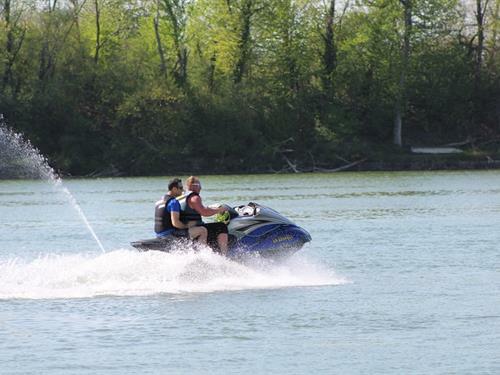 Come pilot a YAMAHA jetski 3 seats with an instructor. An amazing way to find out the the landscape of thr Rhine. Only on appointment. A dynamic, competent team welcomes you to the Lauterbourg water sports centre. A broad range of nautical activities is offered by a state-registered instructor: school training courses, individual training courses (school holidays) and private courses. You will find up-to-date facilities, advice and supervision to take part in these sports in complete safety. 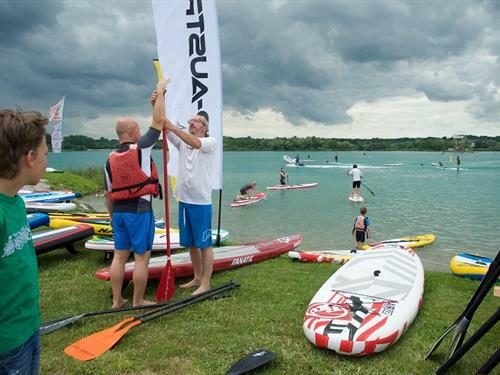 The water sports centre has catamarans, sailing dinghies, windsurfing boards, canoes and kayaks, and paddleboards at its disposal. Possible to spend an enjoyable day with the day pass that gives access to the centre, sailing activities and sailing equipment. 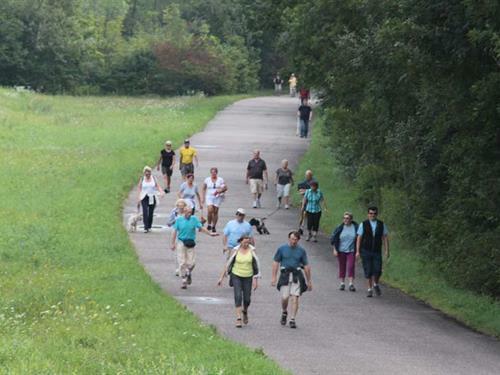 People walk: everyone welcome, even the youngest children. What better way to discover the region's delights and fully recharge your batteries. Starts from the Community Hall (rue du Foyer). Route of 10 or 20 km. French riding school. 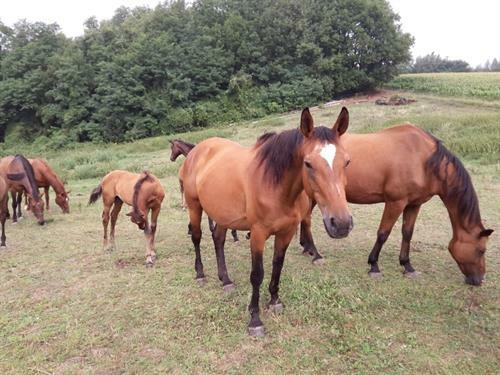 Haflinger horse stud. Beginners' and advanced courses; sitting federal exams; holiday courses with accommodation; outings on horseback (1, 2 or 3 hours); treks (1 week); equestrian vaulting with optional competitions; stabling for horses in stalls with access to meadows; stud; lodge, stopovers for horse and rider (studios and dormitories); restaurant and the chance to taste Alsatian specialities and various other dishes (Fridays, Saturdays and Sundays). 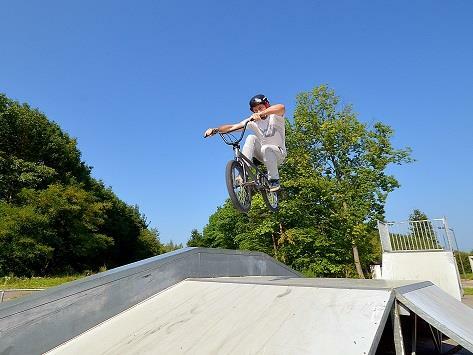 The Skatepark can be found next to the sports complex. It is composed of a series of modules and a deck in fine asphalt. 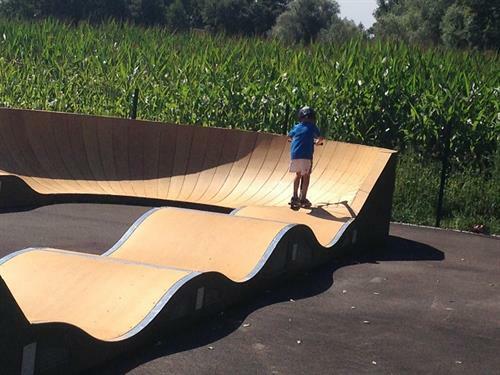 For more experienced skateboarders, there's a "slide" bar, a "drop" and a "speed way". Everyone welcome, even the youngest children. What better way to discover the region's delights and fully recharge your batteries. 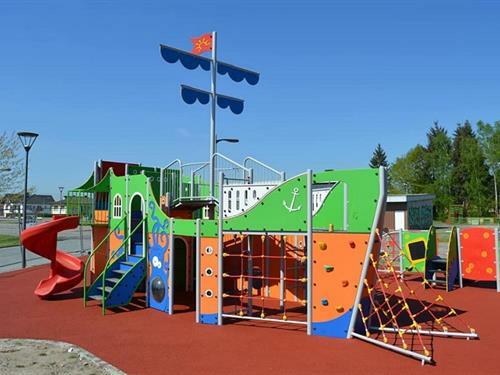 Make the most of an attractive play area with various outdoor games that will delight your children: pirate structure with two slides, a large climbing frame, a large roundabout, swings, plus a few items of apparatus for the very young, to spend an enjoyable time with the entire family. The play area is especially popular. For more than 15 years, October has been Fight Breast Cancer month. Therefore, to support the pink ribbon movement, a 5-km run and walk is to be organised. 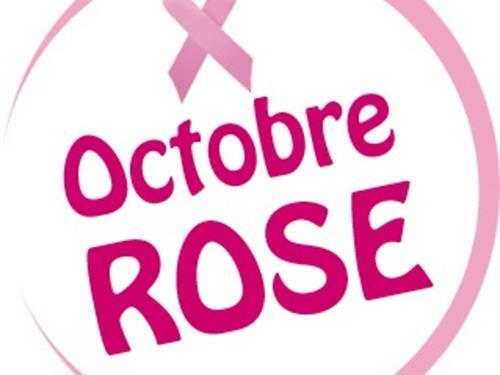 A proportion of the admission fees will be donated to a cancer research organisation: The Bas-Rhin chapter of the League against Cancer (La Ligue contre le Cancer)! A medical certificate (not older than 3 months) is a prerequisite for the run. At yacht harbour, there is pontoon rental per year, month, weekend or day. 50 locations are equipped with power and water distribution for boats up to 12 meters.